Red Hat’s OpenShift containers have been in the marketplace since 2011– but recent years have added momentum to container adoption, as hybrid cloud computing has become mainstream and multi-clouds are gaining wider use. 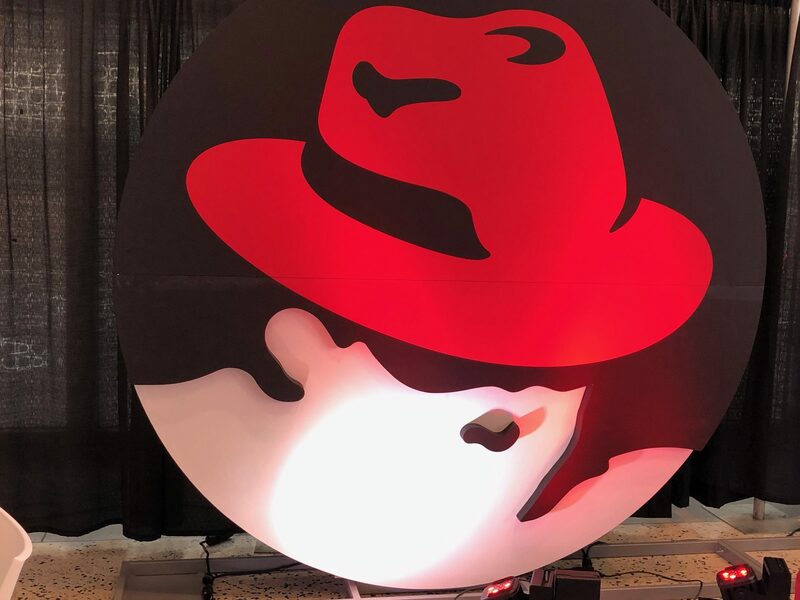 It’s clear that Red Hat turned a bright spotlight on OpenShift containers at this year’s Red Hat Summit in San Francisco. Red Hat’s move to containers has taken on more importance as enterprise customers are migrating more workloads into public clouds. It’s important to note that Red Hat Enterprise Linux (RHEL) and Red Hat OpenShift already run on a variety of public clouds, including Amazon Web Services (AWS), Microsoft Azure Google Cloud Platform and IBM Cloud. In addition, many customers are also deploying private clouds that leverage cloud-enabling software while keeping applications and data inside their organization’s firewalls. There is strong interest in private cloud, for a variety of reasons. Driven by peaks and valleys of demand, public cloud costs can be unpredictable – and costs for some workloads can escalate quickly. In many cases, customers choose to deploy in the private cloud for security and regulatory compliance reasons, such as the need to comply with the General Data Protection Regulation (GDPR). Now, enterprise customers are making tough decisions about which workloads they will push into the public cloud(s) – and which ones will remain on-premises in the datacenter for security, cost, compliance and governance reasons. Red Hat and Microsoft. Microsoft will offer a Microsoft Azure-managed cloud service based on Red Hat OpenShift containers. The two companies are extending an existing agreement by working together to develop a native integration of OpenShift container technology for Microsoft’s Azure public cloud and the Microsoft Azure cloud portal. Red Hat and Microsoft will coordinate customer support, based on the nature of the requests. Microsoft will respond to customers’ first-level and second-level support requests, and Red Hat will support third-level requests, if needed. Red Hat and IBM. IBM is extending its private cloud platforms (IBM Cloud Private and IBM Cloud Private for Data), along with its middleware products, to Red Hat OpenShift Container Platform as Red Hat Certified Containers. This agreement brings a portfolio of IBM middleware, including the IBM DB2 relational database, IBM WebSphere and IBM MQ Series, to deployable Red Hat OpenShift containers. This is a major partnership based on the strategy that hybrid cloud customers will demand enterprise-grade support and SLAs from both companies. The essential truth about enterprise infrastructure is that customers have built up deep technical skills for both Microsoft Windows and Red Hat Linux. Historically, these skills have been developed, and maintained, in parallel. The next stage of hybrid computing will move beyond the “silo” construct that so many businesses have built up – and have been using for decades. This time around, applications must be portable – able to move to different regions within the cloud. Containers provide the technical ability to move applications across the hybrid cloud, or into multi-cloud deployments. Customers want to avoid vendor lock-in, choosing to go to hybrid cloud or multi-cloud deployments. Customers want to access multiple clouds based on cost concerns, due to difficulty in planning for the peaks and valleys of demand. Applications may be developed on one cloud – and deployed in another. Applications must run near large data repositories for performance reasons. Some applications must be deployed in specific clouds for government and regulatory reasons. Red Hat and Microsoft, which together have driven the development of cross-platform support for IaaS and bare-metal deployments, now realize that interoperability in a hybrid cloud world demands a new approach to enterprise application platforms. The new announcements bring their joint work on interoperability to a new level. This approach is a step forward from the separated silos of the 1990s and 2000s. Now, both companies must work closely together to ensure smooth deployments and rapid support to the enterprise customers that adopt hybrid cloud deployments that leverage Microsoft Azure. Despite the crossover nature of this technology partnership, both companies realize they must continue to ensure service-level agreements (SLAs) – as they have done for their separate technology platforms. Both companies have been working together on open-source and Linux technologies for more than 20 years. The Red Hat-IBM partnership has been getting closer, however, given that there are many joint customers with Linux deployments based on Red Hat Enterprise Linux (RHEL) operating environments. The two companies are building on a series of previous announcements in the enterprise Linux space – including Red Hat running on IBM’s LinuxOne Z systems, IBM z14 mainframes and IBM’s Power systems. The IBM’s middleware will bring an important portfolio of widely used IBM enterprise software – DB2, WebSphere and MQ Series – to hybrid cloud deployments based on Red Hat OpenShift. The addition of these IBM-branded enterprise workloads has the potential to raise OpenShift’s profile among IBM’s deep base of enterprise Linux customers worldwide. At the same time, Red Hat and IBM will be working together to make OpenShift easier for DevOps personnel to use – and deploy. This move appears to have come at an important time for OpenShift’s trajectory into hybrid cloud, potentially increasing OpenShift’s total available market (TAM) among the Fortune 500 and Global 2000 accounts that are so heavily invested in IBM technologies. Now that OpenShift is becoming an important building-block for Red Hat’s portfolio of infrastructure products based on open-source technology, Red Hat is building an ecosystem of partnerships focused on OpenShift solutions. Red Hat’s goal is to have OpenShift contribute a larger slice of the company’s $2.9 billion in annual revenue This will build on the company’s strong growth overall, complementing Red Hat Enterprise Linux (RHEL) as the single largest contributor to its growth. Red Hat is well-positioned to make a bigger impact on the emerging enterprise container space for hybrid cloud. It has made sure that OpenShift will work well with Kubernetes orchestration software, which is the leading open-source orchestrator for containers. We should note here that Red Hat won’t be alone in providing enterprise container technology. Customers can also choose Docker implementations, Dell Technologies’ Pivotal/Cloud Foundry, and Apache Mesosphere, noting that Mesos was an early entry in the container market. In hybrid cloud deployments, and in multi-cloud deployments (with enterprises reaching into two or more clouds), partnerships with other companies will accelerate adoption of new technologies. For enterprises, the “ilities” – reliability, availability and manageability, along with security – will continue to be the most valuable traits of new software. Cost, ease of use and repeatability will also play a role in customer evaluations as they build out their hybrid clouds. To succeed, containers need to work with software tools and APIs that enterprise customers already have. They must be secured, through the use of golden images of the software that is being replicated across containers to ensure consistency in processing corporate data. Red Hat understands the importance of ensuring consistency in enterprise computing, working with dozens of ecosystem partners to promote OpenShift as a major platform for containers. Red Hat is wise to recognize that OpenShift needs to have wider adoption in the enterprise space. To make that happen, Red Hat has announced important partnerships with two giant incumbents in enterprise data centers: IBM and Microsoft. While the partnerships focus on different deployment models – Microsoft Azure as a public cloud service, and IBM Cloud Private for private clouds inside the corporate firewalls – both are focused on significant enterprise customers moving to hybrid cloud. The size and quality of these large enterprise customers reveal important Red Hat strategies as OpenShift aims for wider adoption worldwide.